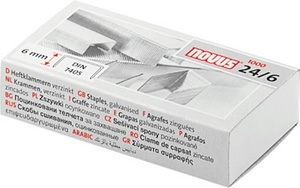 For optimal performance of your Novus stapler, we recommend using Novus staples. Using Novus staples will not only ensure trouble-free operation, but they will also protect your warranty. Please note that there is a minimum order of 2 boxes due to the cost of shipping.